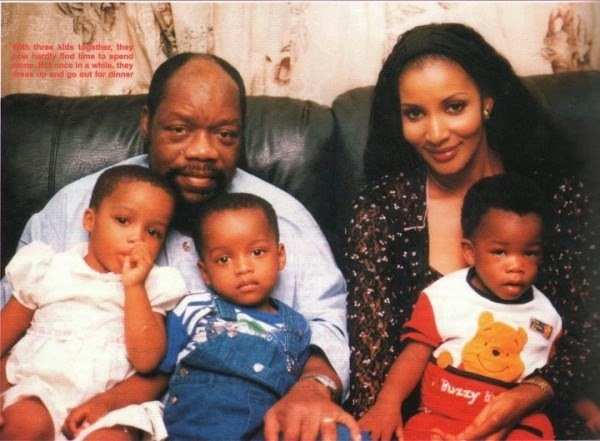 Bianca Ojukwu Defends Marriage And Children's Inheritance - "I Am The Only Wife He Wedded"
Bianca Ojukwu has spoken out in a rare interview with Ekerete Udoh about her wedding to Dim Odumegwu Ojukwu in 1994, and the fallout with his older children. She defends her marriage but is realistic about the inheritance fights which she insists started way before she joined the family. “I came into a deeply divided family – a lot of my husband’s relatives, I never saw physically before he died. Ojukwu Transport Company issues have been in court, they still have not resolved the issues concerning their father’s wealth, and this was an issue that started in 1966.. I am very comfortable if not for anything, for being the daughter of Chief C.C.Onoh, and my father took care of me, so the issue is not just about their family. But my husband was also a very serious person, so he anticipated all what is happening now by making sure that the most of my inheritance is bequeathed to me by the Deed of Gift, so prior to his death, most of those gifts had already been registered under my name. But I will say that at the end of the day, it’s not a question of acquisition, all I am saying is that I am the only wife that he wedded, first and foremost, at the Kaduna registry as witnessed by his friend, the late Clement Akpamgbo, and we had a small reception after the event at Apo Quarters, in Abuja. After the registry marriage, we went through the Catholic marriage at Our Lady Queen of Nigeria Catholic Church in Abuja, and it was officiated by the then Arch Bishop Onaiyekan- then the Archbishop of Abuja Diocese.